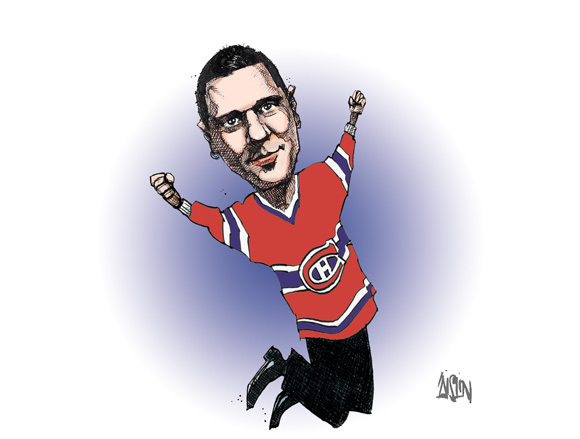 Here is a version of the cartoon published on the cover of today's Le Droit newspaper. 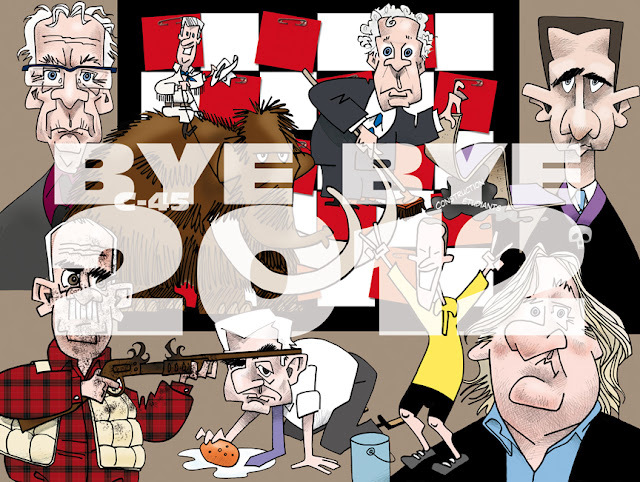 We can recognize from left to right and top to bottom (on a background of red squares): Senator Pierre-Hugues Boisvenu, Prime Minister Stephen Harper, Premier Jean Charest, Bashar al Assad, Minister Vic Toews, Dominique Strauss Khan, Lance Armstrong and Gérard Depardieu. Marc Librescu in The Comics Journal. 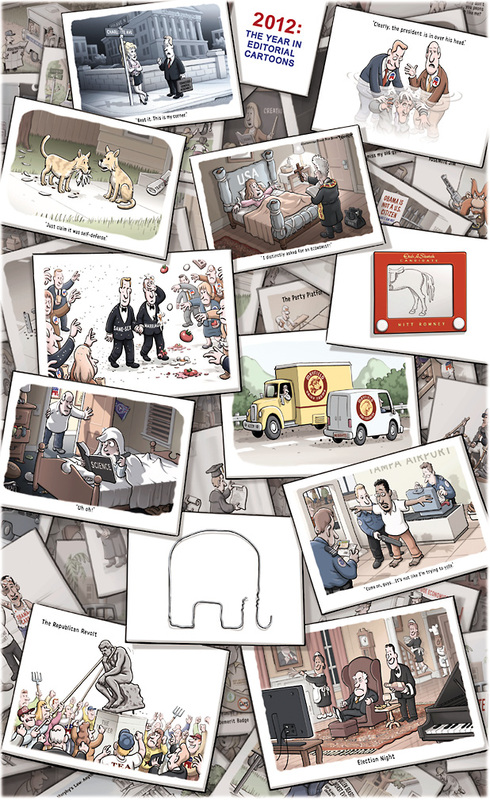 Dan Piraro is the creative mind behind the award-winning cartoon Bizarro. First syndicated in 1985, Bizarro has developed a loyal following and now appears internationally in more than 350 daily and Sunday newspapers. 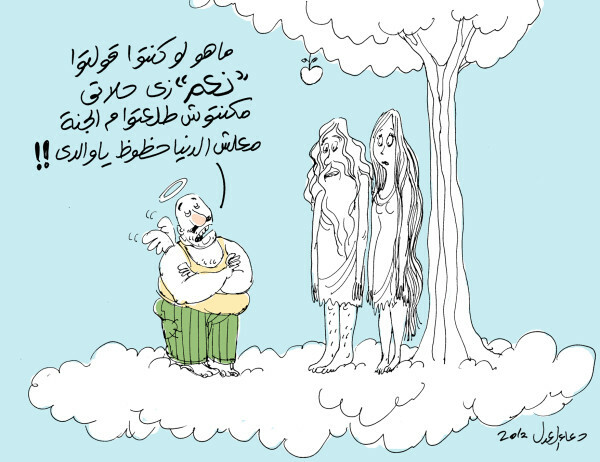 From The Egypt Daily News. You would have never been expelled from heaven had you voted in favour of the referendum! Robert Ariail’s cartoons about geopolitics can range from the warmly humorous (See: Greece as the economic houseguest who won’t leave) to the deadly serious (President Assad painting himself into a corner with Syrian blood on his hands). For such cartoons that reflected that diversity of his approach, Ariail has just been named the 2012 recipient of the Berryman Award, which is presented by the National Press Foundation. From the Cul de Sac blog. 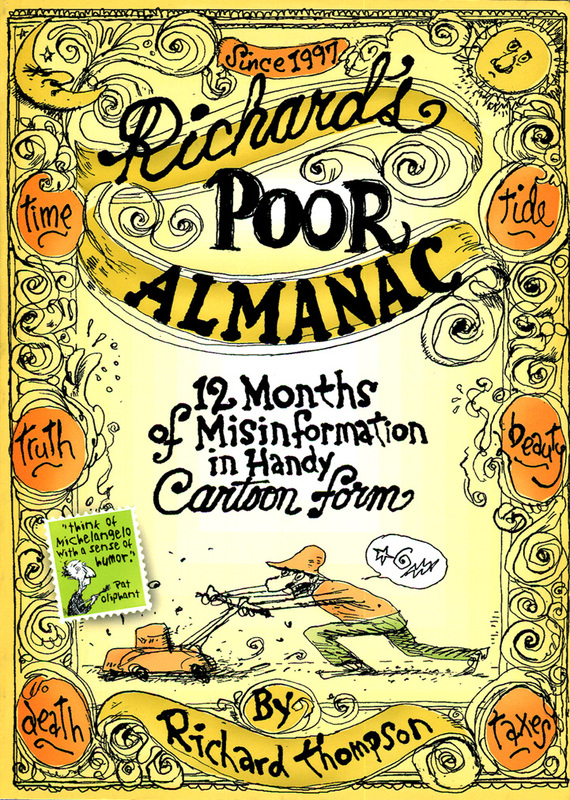 Richard Thompson drew this in 1997, on the 100th anniversary of the editorial. Viewed 295 times on Twitpic. ... before it's too late to enjoy them. Private Eye magazine says farewell to its longtime art director Tony Rushton, with a party near its offices in Soho, London. 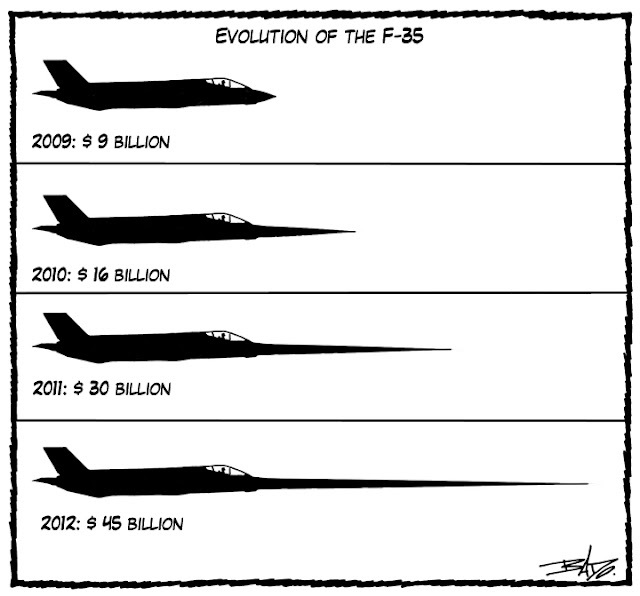 The "Best Editorial Cartoons of the Year: 2013 Edition" should now be in bookstores. 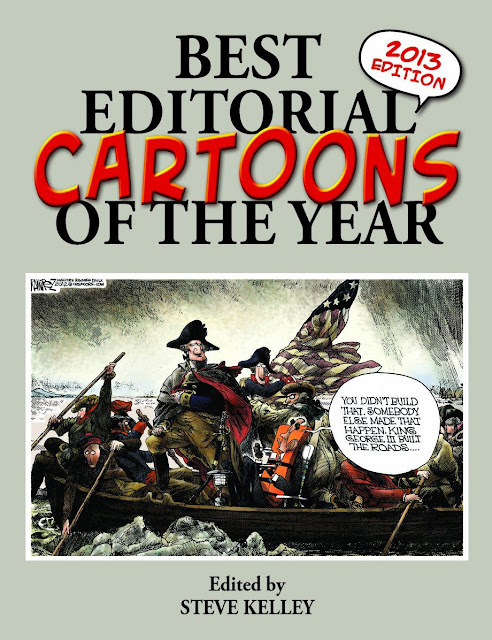 The yearly retrospective of cartoons drawn by members of the Association of American Editorial Cartoonists was initiated by the late Charles Brooks some 40 years ago, but with his passing last year, the franchise is now edited by editorial cartoonist Steve Kelley. You can order the book online. 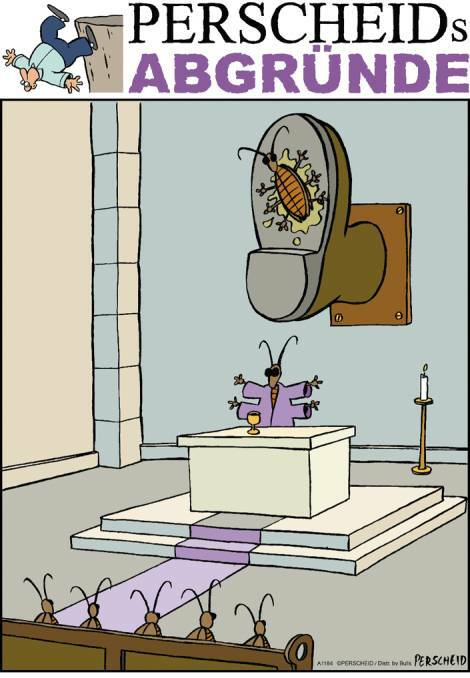 .. this hilarious cartoon by Martin Perscheid. Viewed 410 times on Twitpic. George immortalized in one of his favourite outfits. Canadian political cartoonist Terry Mosher, AKA Aislin, has led a colourful life. Kal profiled in "The Economist"
"Drawing much more than a line" in The Economist. After a day when we were all mulling over big data, small food, cyber-warfare, rising economies and fiscal cliffs, Kevin “KAL” Kallaugher, The Economist’s editorial cartoonist, summed up The World in 2013 Festival in New York as only he can—with a whiteboard, a Sharpie pen and his uniquely witty take on the likely events of 2013. 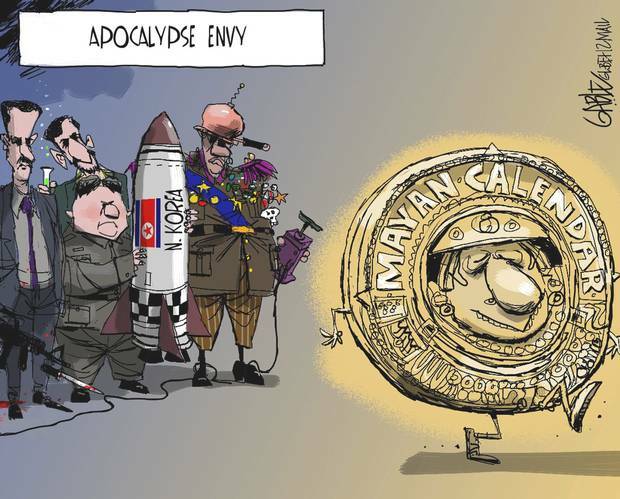 Globe & Mail Editorial Cartoonist Brian Gable on "16x9"
Next years convention of the Association of American Editorial Cartoonists will be held in Salt Lake City, UT. 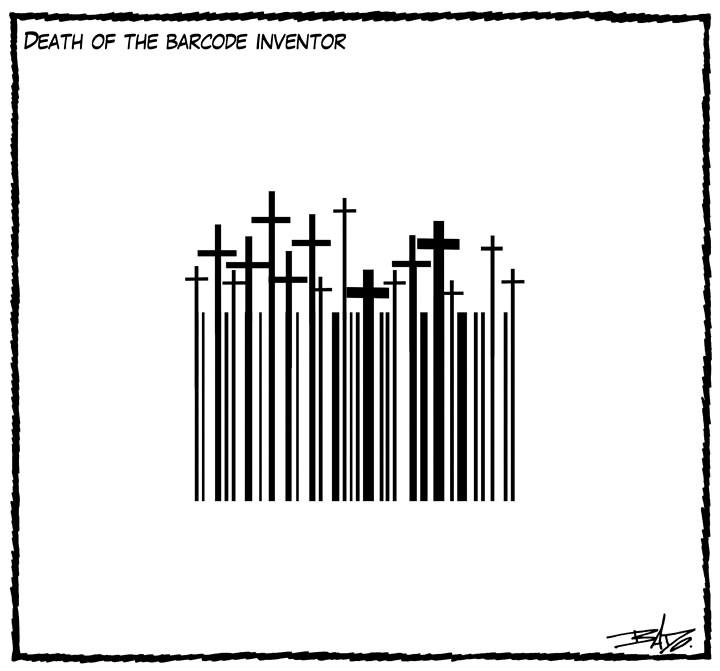 Salt Lake Tribune editorial cartoonist Pat Bagley will be heading up the local logistics of the hosting. I asked him a few questions about the announcement and what we can expect. A: Correct me if I’m wrong, but I believe this is the first time the AAEC has come to Salt Lake City, right? P: This will be a first for Salt Lake and Utah. And I didn’t even have to dispense bribes. A: Do you have a vision yet for the format or venue of the convention? P: The AAEC will be exploring all of the possibilities, but I see a relaxed, wide-ranging venue with activities open to public participation. It will be equal parts showing off our great state to my peers and showing off some of the greatest creative talent in the country to my fellow Utahns. I’ve talked to several community leaders and they’re all eager to help and participate in our party. I see a lot of love. In fact, you could call it Big Love. A Belgian court says the cartoon, which is sold in the UK with the warning it includes racist content, is "full of gentle humour". 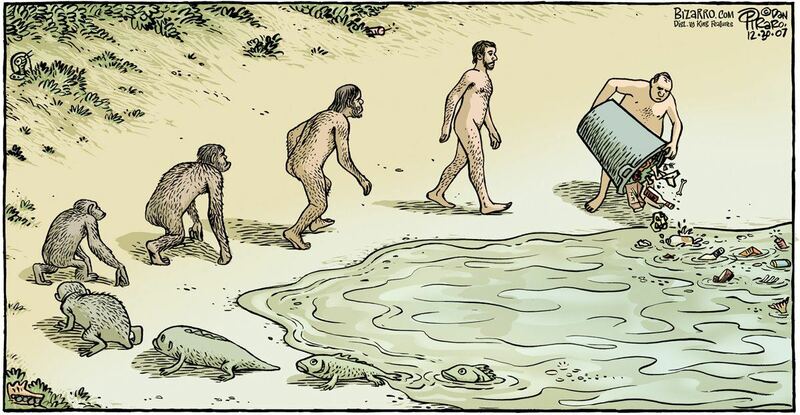 A cartoon by The Independent's Dave Brown has been named Political Cartoon of the Year 2012. 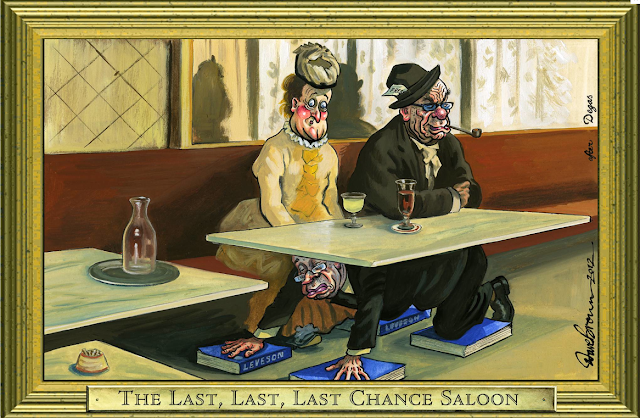 The cartoon, 'The Last, Last, Last Chance Saloon' (above) was published in last Saturday’s paper, and shows David Cameron's response to Lord Leveson's report. The cartoon was inspired by a painting by Degas. The award, presented annually by the Political Cartoon Society, was voted for by the society's members together with the cartoonists of all the national newspapers in a ceremony at the Ellwood Atfield Gallery in Westminster's Smith Square on Tuesday night. 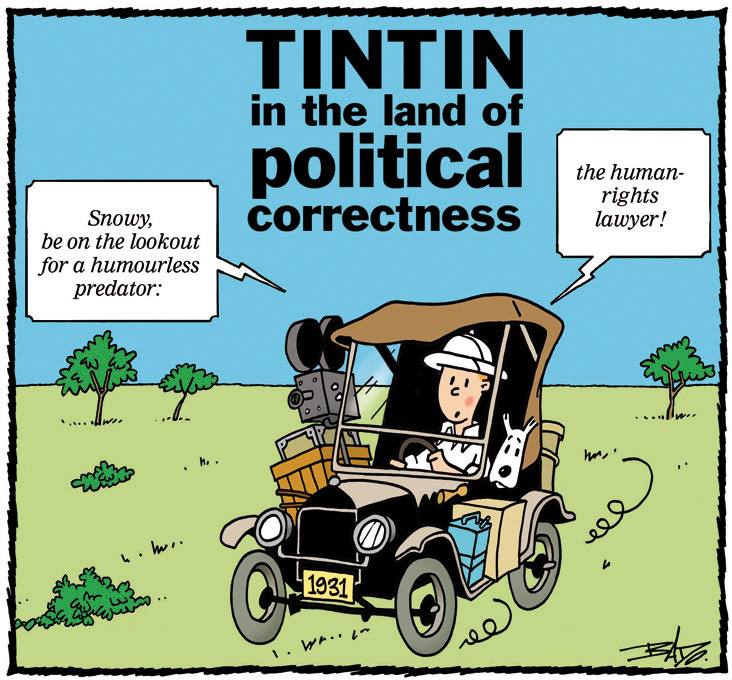 Dave Brown has previously won the Cartoon of the Year Award in 2003, 2006, and 2010. Sequential asked cartoonist Seth, creator of the Jocko gum-machine giveaway comic, and a Bazooka Joe collector of long-standing, to comment on the news. The Post fans were first. It was the readers of The Washington Post who, of course, first enjoyed and embraced “Richard’s Poor Almanac,” Richard Thompson’s weekly comic that debuted in 1997 and ran in the Style section. The feature won a national following, combining the wry whimsy and exquisite artwork of a now-acknowledged cartoon genius during its decade-plus run. 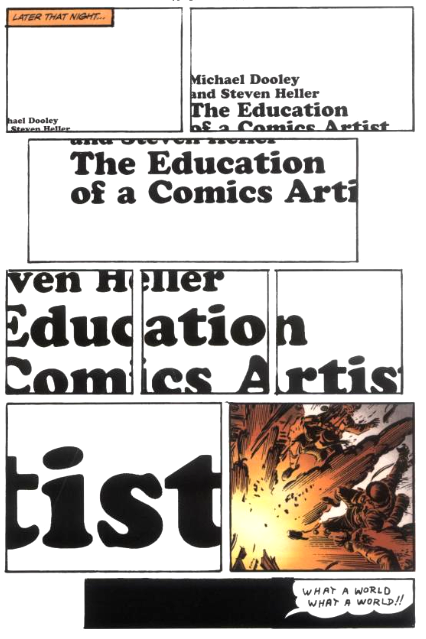 There's something oddly funny about Paul Krassner. And it's been going on for more than 50 years.